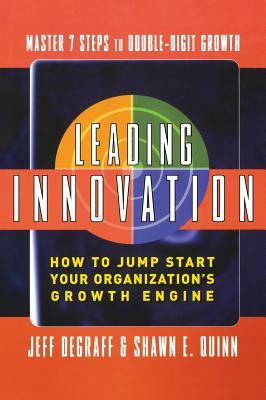 Based on DeGraff's proven methods-which he teaches in his innovation program at the University of Michigan Ross School of Business and has applied at Fortune 500 companies around the world-this breakthrough guide focuses on systematically integrating business practices and connecting them to the value propositions they produce. You'll discover how to diagnose obstacles to innovation, realistically assess your options, and develop an integrated program of action that can be adjusted to meet the needs of any group, department, or business unit throughout your organization. Jeff DeGraff, Ph.D., is a Professor at the University of Michigan's Ross School of Business, teaching MBA and executive education courses; and the Managing Partner of the Competing Values Company. His clients include Pfizer, General Electric, and Toyota, as well as dozens of other Fortune 500 firms. Shawn E. Quinn is a Partner in Competing Values and specializes in designing and facilitating organization change processes, with particular emphasis on aligning vision, strategy, technology, and human systems. He is a National Training Labs (NTL) certified facilitator.